Readdle produces some of the best productivity apps money can buy for iOS devices, so it’s no surprise that it’s still going strong as it celebrates its sixth anniversary today. And in honor of this special occasion, the company has slashed up to 70% off all of its paid apps for a limited time. It has also added a super cool timeline to its website that highlights some of the most important milestones and innovations from over the past six years. Readdle doesn’t reduce its prices very often — it’s usually a once-a-year thing — so be sure to pick up these apps now while they’re cheap. The reductions are valid for 48 hours. 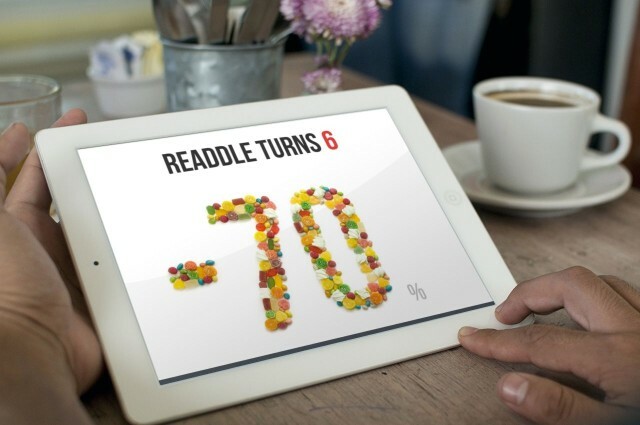 And once you’ve downloaded the apps you want, check out Readdle’s website for an awesome timeline that details some of the company’s most interesting milestones since it released its first iOS app, such as reaching its first 1 million downloads, and then surpassed 13 million last month.